TR4 Socket is the latest CPU Socket from AMD for its AMD Ryzen Threadripper processors. AMD Ryzen Threadripper is the high-end desktop processor series and they are the first processors from AMD to feature a pinless design and having a LGA Socket Type. These are huge, power hungry and very powerful processors and due to this they have rendered many popular current generation CPU coolers useless. Even most of the AM4 Socket compatible CPU coolers won’t be able to fit the AMD Ryzen Threadripper processors. So, in this post I am going to list down the best LGA 2066 and TR4 Socket CPU coolers (air/water or liquid) for use with Intel Core-X series and AMD Ryzen Threadripper or TR4 Socket processors. All the below mentioned CPU coolers fully support the 180W Ryzen Threadripper processors. Note: Socket TR4 or sTR4 is a short form for Socket Threadripper 4 and is also known as Socket SP3r2. The number of pins or contacts in Socket TR4 are 4096. You must also know that Ryzen Threadripper Processors require an AMD X399 Chipset Motherboard. On the other hand, LGA 2066 Socket is also called Socket R4 and it supports Intel X299 chipset motherboards. Here are the best air CPU coolers for Intel LGA-2066 and AMD TR4 Sockets for Intel Core-X series and AMD Ryzen Threadripper processors. 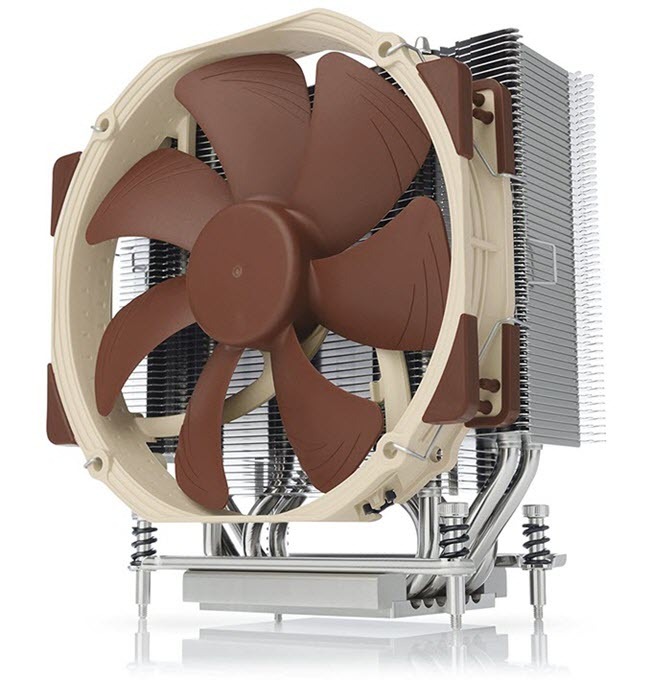 This is a budget CPU Cooler from Noctua, which is very reputed hardware company and is known for their high quality case fans and CPU coolers. This CPU cooler is made especially for AMD high-end processors and it supports only Socket TR4 and Socket SP3. This TR4 CPU cooler comes with 140mm fan with Noctua’sSSO2 bearing. The fan is very quiet in operation and performs very well by keeping the temperatures down to safe levels. The heatsink consist of copper base and 6-heat pipes for better dissipation of heat. The cooler is a bit taller at 165mm in height, so I recommend you to get a good full tower case if you plan on using this cooler. Overall it is a great affordable Air CPU cooler for AMD Ryzen Threadripper processors that you can trust without having any second thought. If the cooler height is a bit concern to you then you can get its smaller models which are Noctua NH-U9 TR4-SP3 and NH-U12S TR4-SP3. Noctua NH-U9 TR4-SP3 comes with 92mm fan and has height 125mm, and NoctuaNH-U12S TR4-SP3 comes with 120mm fan and has height of 158mm. P.S. 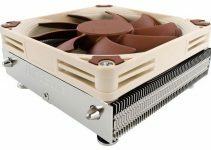 – If you want a compact TR4 cooler from Noctua then you can go for Noctua NH-U9 TR4-SP3 CPU Cooler that comes with dual 92mm fans. The height of this TR4 cooler is only 125mm which makes it a perfect choice for use in compact Threadripper builds. However, this cooler is not meant for overclocking and is best for use with stock frequencies only. 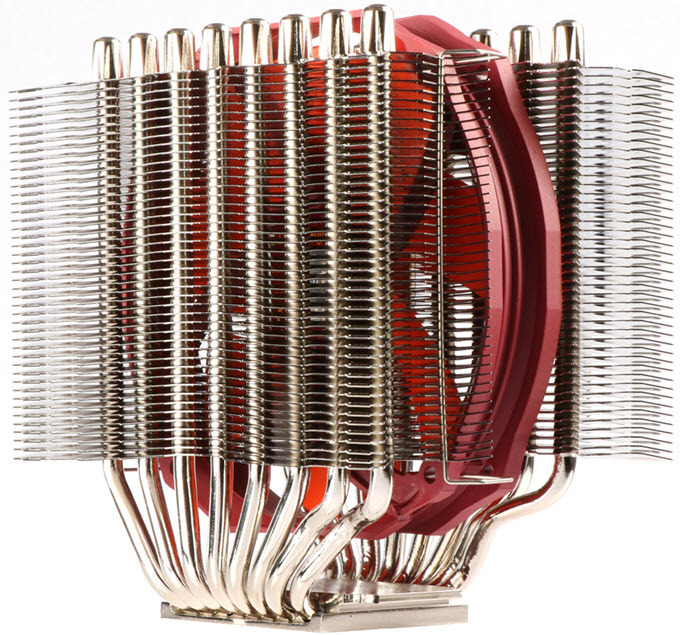 Thermalright Silver Arrow TR4 is a twin tower CPU cooler for AMD TR4 Socket processors. It can also work with AM4 socket Ryzen CPUs, but you have to order the Socket AM4 bracket separately. This is unarguably the best TR4 socket CPU cooler and can even beat TR4 CPU Coolers from bigger names like Noctua. It comes with dual heatsinks with eight copper heatpipes and a copper baseplate with full TR4 IHS coverage. The 140mm fan (TY 143 fan) is placed between the two heatsinks that comes with ball bearing and spins at speed of 600 – 2500 RPM. At full speed, it is a noisy performer with maximum noise level rating of 45dBA. The performance of this TR4 CPU Cooler is excellent and it can run your top of the line Ryzen Threadripper processor at full Precision Boost Overdrive (PBO) like a boss. It can support CPUs having up to 320W TDP, and is as good as the high-end AIO Liquid CPU Coolers. Due to its offset heatsink design, it also allows good amount of clearance for tall RAM. However, it is a bit on the longer side and may interfere with your video card in the first PCIe slot for some motherboards. The CPU cooler stands at 163mm tall and can fit in most of the mid-tower and full-tower cases. The installation is a little bit cumbersome, but you can get through it after viewing the well detailed installation manual or watching the installation video on its website. The CPU Cooler is very much affordable and does not dig a hole in your pocket. Highly Recommended by me. Fryzen GAMER STORM is RGB CPU Air Cooler from Deepcool that is designed especially for AMD Ryzen Threadripper Processors having TR4 Socket. However, it also supports AM4 Sockets and other mainstream AMD Sockets. This Air Cooler has 100% IHS coverage for sTR4 AMD Ryzen Threadripper processors for better cooling and heat transfer. This is stylish looking RGB CPU cooler that comes with RGB LED lighting on the top cover and on the front side of fan frame. The RGB lighting supports 5 effects (dynamic color, static, breathing, comet and fashion collision) and up to 36 different modes that can be controlled by the included wired RGB controller (3-pin) or motherboards with synchronized lighting control via an addressable RGB function using RGB header. It supports Asus Aura Sync, Gigabyte RGB Fusion, MSI Mystic Light Sync and ASRock Polychrome Sync RGB softwares. The cooler comes with six boot-shaped heatpipes for supposedly faster heat dissipation. It has got a single 120mm fan having hydraulic bearing and spins at speed in range of 500 to 1800 RPM. The fan can be very loud at full speed and has maximum noise level rating of 41.5 dBA. This is a non-interference cooler which means it poses no hindrance to the RAM not matter how tall they are. 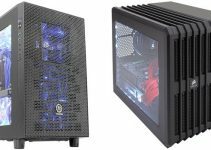 However, the cooler is a bit on taller side at 164.6mm but if you have a good mid-tower or full-tower case then you don’t have to worry about it. Overall a good RGB cooler for AMD systems that looks great and is also a good performer at stock speeds. Another great air CPU cooler for Threadripper processors. This is a budget CPU cooler and it supports AMD A4, sTR4 and Intel LGA 2066 and 2011-3 Sockets.This CPU cooler from Arctic comes with one 120mm Fluid bearing fan and an aluminum heatsink with four copper heatpipes which are in direct contact with the CPU. This a stylish CPU cooler that comes in red black color but it does not have LEDs. The height of this CPU cooler is only 155mm and it can fit in almost all the mid-tower cases. So if you are looking for a budget TR4 CPU cooler than this one will not disappoint you. 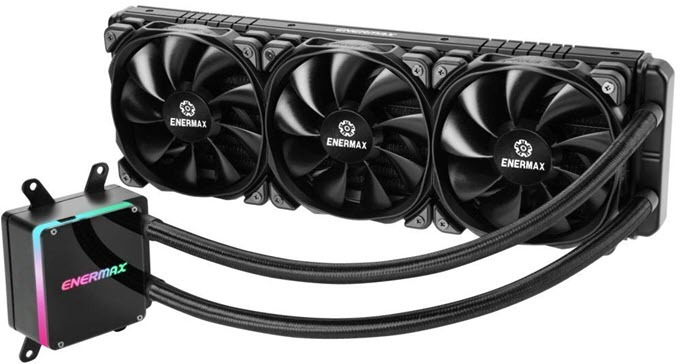 You can get this budget CPU cooler under 50 dollars. Here are some of best water or liquid CPU coolers for Intel Core-X series and AMD Ryzen Threadripper processors having LGA 2066 and TR4 Sockets respectively. Liquid CPU coolers delivers enhanced cooling performance and are best suited for overclocking for high-end gaming PCs. 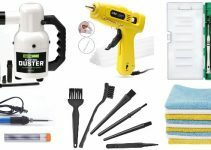 All the below mentioned CPU water coolers are closed loop CPU coolers which means you do not have to refill the liquid ever and they are virtually maintenance free. 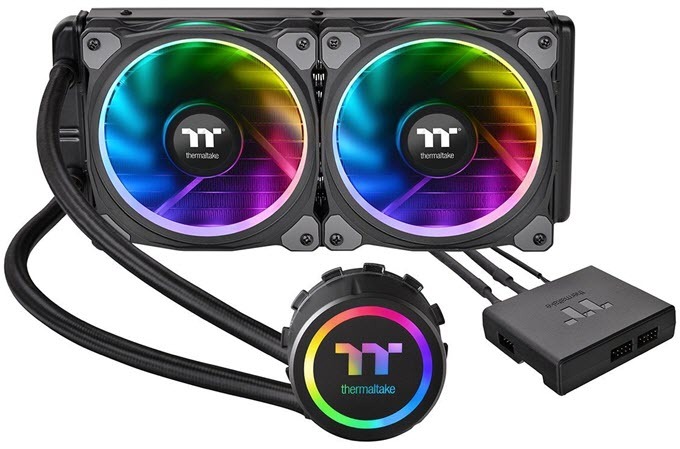 This is a fancy looking Liquid CPU Cooler from Thermaltake and it compatible with almost all the major CPU sockets including AMD sTR4 and Intel LGA 2066 Socket. This liquid CPU cooler has got 240mm radiator and two 120mm fans that consists of RGB Riing LEDs. The Waterblock of this cooler also comes with RGB LED ring that lights up your computer case. For controlling these RGB LEDs, it comes with a Digital Lighting Controller. The waterblock comes with copper base which translates in better heat dissipation and thus increasing cooling performance of the whole cooler. Liquid tubes or pipes are sleeved to prevent them from damage and leaking out. You can monitor the performance and control the various options of this water cooler using Thermaltake’s Riing Plus RGB Software & App. This Liquid CPU cooler is available as bigger units too with 280mm radiator with dual 140mm fans and 360mm radiator with triple 120mm fans. Here we a wonderful sTR4 CPU cooler from EVGA, which is one of the most popular nvidia graphics card manufacturers. 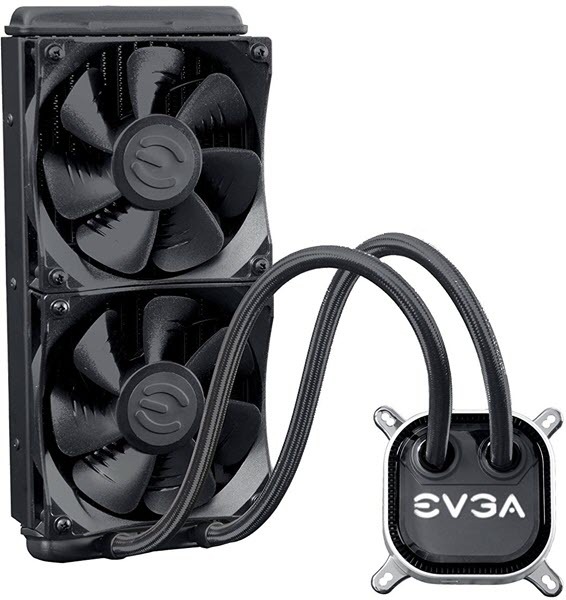 EVGA CLC 240 Liquid CPU cooler comes with two 120mm fans and 240mm radiator. This is a pretty good AIO CPU Cooler that supports AMD Ryzen Threadripper processors. 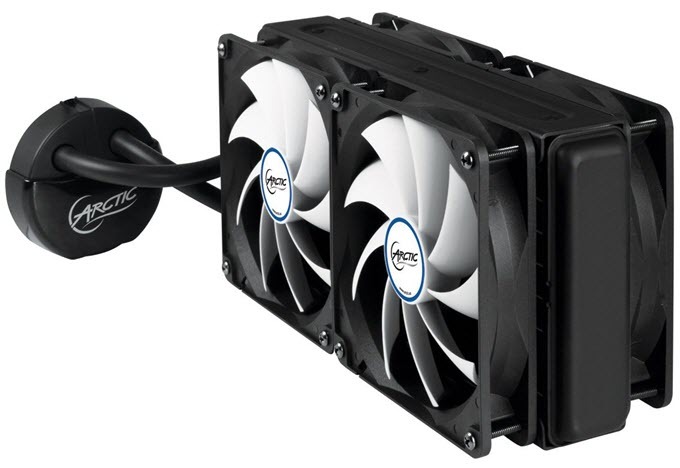 This CPU cooler also supports the Intel LGA 2066 Socket for Intel Core-X series processors. The performance of this cooler is very good and it does a great job in keeping your processor temperature down to safe range. This liquid CPU cooler comes with RGB LED and you can control the various functions like pump & fan speed and RGB LED lighting using the EVGA Flow Control Software. You can also check out the bigger variant of this cooler which are EVGA CLC 280 that comes with 280mm radiator with dual 140mm fans. Except for bigger fans and radiator, all the features remains the same that you can find in the EVGA CLC 240. Here we have a 240mm Liquid CPU cooler with dual 120mm fans from NZXT which is quite popular for its high quality PC cases. This is a high quality liquid CPU cooler and it supports almost all the latest CPU Sockets including Intel LGA 2066 and AMD TR4 Socket. Like all the high-end liquid CPU coolers, this cooler also comes with sleeved tubes and copper contact base for CPU. 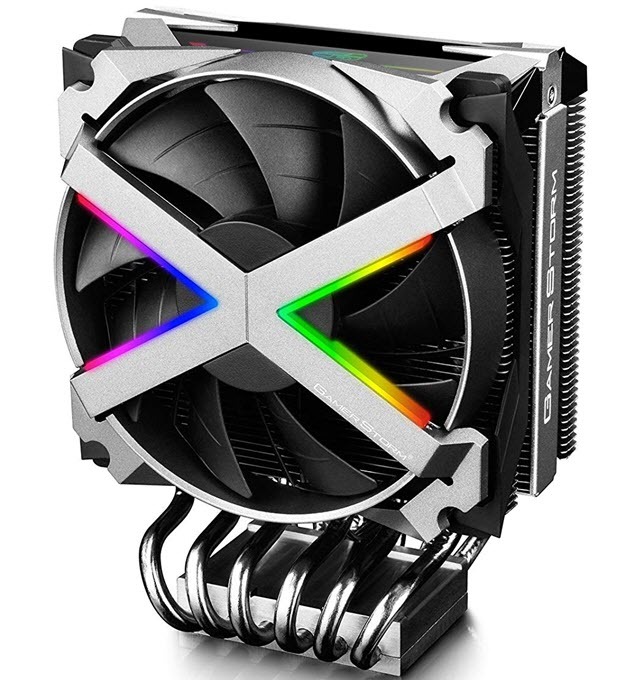 The liquid CPU cooler comes with RGB LED lighting for waterblock. The RGB lighting and settings for fans and pump can be fine-tuned or controlled by you by using the CAM software that comes along with it. The build quality of this water cpu cooler is great and so is its performance. This liquid CPU cooler is also available with 140mm radiator with dual 120mm fans (NZXT Kraken X42) and 280mm radiator with dual 140mm fans (NZXT Kraken X62). This is a no nonsense high quality AIO Water Cooler that is compatible almost all sockets including AMD TR4 and Intel LGA 2066 sockets. This liquid CPU cooler has got 240mm radiator and dual 120mm fans having LLS bearing. This is a very silent CPU cooler and it also comes with pre-applied high quality thermal paste. This water cpu cooler does not come with LEDs for lighting which can strike off some users and for some it is a good thing. 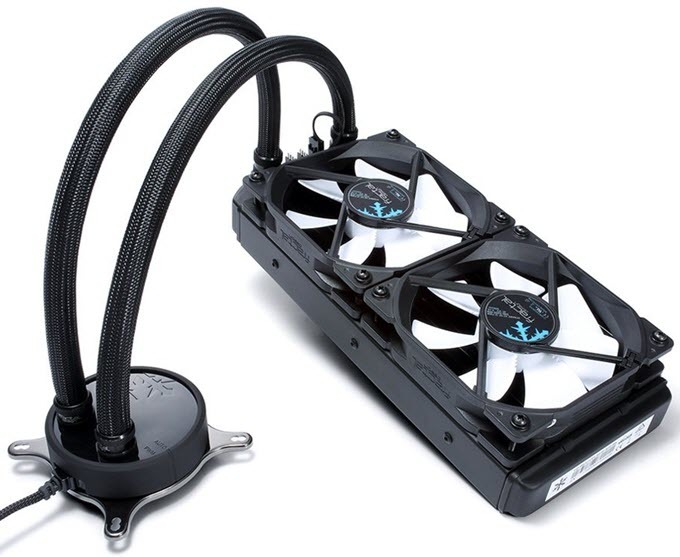 Overall a simple liquid CPU cooler that blows away others with its performance. It is quite affordable too compared with other coolers from bigger brands. 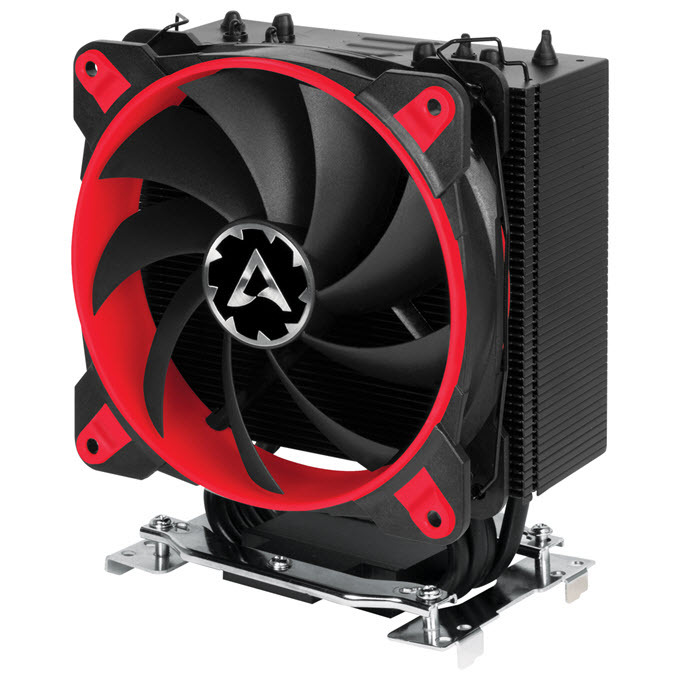 Arctic Liquid Freezer 240 is one the cheapest liquid CPU coolers with 240mm radiator. This is a very quiet water cooler because the fans spin at rather lower 1350 RPM at max. It has got two 120mm fluid dynamic bearing fans that are very efficient and are long lasting. This liquid CPU cooler supports variety of CPU Sockets including high-end Intel LGA 2066 and AMD sTR4 sockets. This CPU Water Cooler does not come with LED lights and sleeved tubes which can be a bit of downside, but the quality of the cooler is good and at this price you won’t even complain about it. ENERMAX LIQTECH TR4 II 360 is unarguably the best TR4 CPU Cooler that you can get for your high-performance AMD Ryzen Threadripper processor. This AIO CPU Cooler has 100% sTR4 IHS Coverage, which means it covers the whole IHS (Integrated Heat Spreader) of the Threadripper processor for maximum heat transfer and better cooling. It come with 360mm Radiator and three 120mm fans that spins at speed of 500 – 2300 RPM. It is a big CPU cooler and can support up to 500W+ TDP CPUs. The cooler also features addressable RGB lighting on the water block that can be controlled either by using the included RGB control box or by 5V ARGB motherboard header using RGB softwares that include Asus Aura Sync, MSI RGB Mystic Light Sync, Gigabyte RGB Fusion etc. The performance of this TR4 CPU Cooler is amazing as it keeps the CPU temperature well below the recommended range even at full load. You can also perform good amount of overclocking and can get better performance from your Threadripper CPU without having to worry about overheating. The cooler also features patented SCT (Shunt-Channel-Technology) design that enables the cold plate to eliminate the “Boundary Layer” to increase coolant flow momentum and accelerate heat transfer performance. The SCT also lets heated and non-heated coolant to swap the channel and increase utilization rate. The tubes of this AIO cooler are sleeved for providing extra protection from abrasion or accidental cuts. Highly Recommended by me. Important Note: It is generally not a good idea to use regular CPU coolers with round base on Ryzen Threadripper processors (with big rectangular Integrated Heat Spreader (IHS)), because they do not cover the entire IHS, which leads to not so good cooling performance. So, it is always advisable to use CPU Coolers that are designed especially for Threadripper CPUs as they cover the entire IHS area, and provides much better performance. These CPU Coolers include Noctua NH-U14S TR4-SP3, Deepcool Fryzen, ENERMAX LIQTECH TR4 II 360.